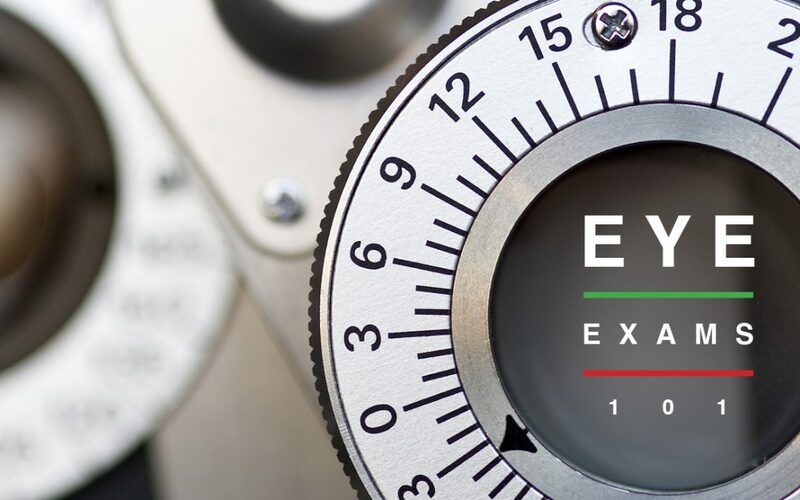 Why is an eye exam important? Eye exams check for early signs of serious eye and health problems. Who gives an eye exam? Your eye exam is performed by a licensed doctor. Ophthalmologist: An ophthalmologist is a medical doctor (MD) who specializes in eye care. Ophthalmologists can prescribe eyeglasses and contacts but are commonly specialized to treat medical conditions of the eye or perform eye surgery. Optician: An optician is not an eye doctor, but is an eye care professionals who fits, adjusts, and repairs your eyeglasses. They can also help patients learn to apply, remove, and care for contact lenses. Before your comprehensive eye exam there are several materials you can prepare. First, create a list of all your prescription and non-prescription medications you take along with the dosage. This will help your doctor determine any vision risks you may have. Bring your most recent pair of eyeglasses or contact lenses, if you have them. Don’t forget to have a copy of your vision insurance card and other medical insurance cards with you. To learn more about the insurance provided our office accepts and other payment options, please call our office directly. Finally, bring a list of questions or concerns you may have about your eyesight to discuss with the doctor. Prepare for your eye exam to take an hour or more depending on the number of tests your doctor needs to evaluate your vision and eye health. A typical comprehensive exam is a series of visual tests to inform your doctor about your vision. Once your new eyewear is ready to be picked-up, an optician will adjust your frame to fit your eyewear and make it comfortable for everyday wear.